If your license is suspended, you may have trouble getting to work or other important obligations. This can greatly affect your life. Having trouble getting around makes things much more difficult, but you may be able to obtain a restricted license for the duration of your suspension. A restricted driver’s license — also known as a hardship license — will allow you to drive to any important obligations you may have. The experts at Drivers-Licenses.org explain some of the reasons you may be eligible for a hardship driver’s license below. A suspended license can put your life on hold. You may be required to attend school, work, or take care of a loved one, and a suspension makes getting to where you need to be extremely inconvenient. You may be eligible for a hardship driver’s license if you have a legitimate place to be and a legitimate reason why you need to be able to drive. Drivers with a suspended license that need to attend school, work or a religious event may be granted the right to drive. A mandatory community service program or rehabilitation program can also help you get a restricted license. Furthermore, certain child visitation scenarios also grant drivers a hardship license. In addition, doctor appointments and medical emergencies are serious matters, and these may serve as valid reasons as well. The team at Drivers-Licenses.org recommends contacting the DMV to see if your need to drive qualifies you for a hardship license. There are many reasons your license may be suspended. Drivers that receive multiple traffic violations may have their license suspended for a certain amount of time. 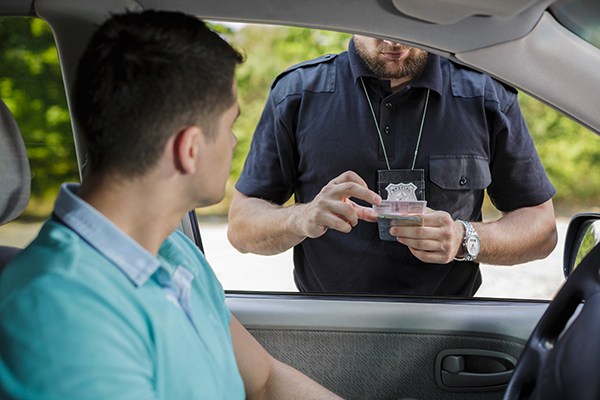 The team at Drivers-Licenses.org knows that license suspension can also be caused by something as simple as forgetting to pay a traffic fine, even if your driving record is otherwise clean. Hardship driver’s licenses are given on an individual basis, so if you are not a repeat traffic offender, you have a better chance of being able to drive during your suspension. Individuals who have multiple DUIs on their driving record, on the other hand, have a slim chance of receiving a hardship driver’s license. You should contact your local DMV office to see if your overall driving record allows you to qualify. If your driver’s license is suspended, you still have the option of taking the bus or train if you need to get somewhere. The expert team at Drivers-Licenses.org understands that public transportation is not available to everyone. People living in rural areas may not have the option of taking public transportation, and this makes a license suspension even more inconvenient. However, those living in an area that doesn’t have sufficient public transportation may be eligible for a hardship license, which will allow them to travel to school, work and other vital locations like the grocery.